Our favorite pair, Tobi and Alex aka 'Tolex' are doing us proud. Their union seem to be opening doors of opportunities for them. 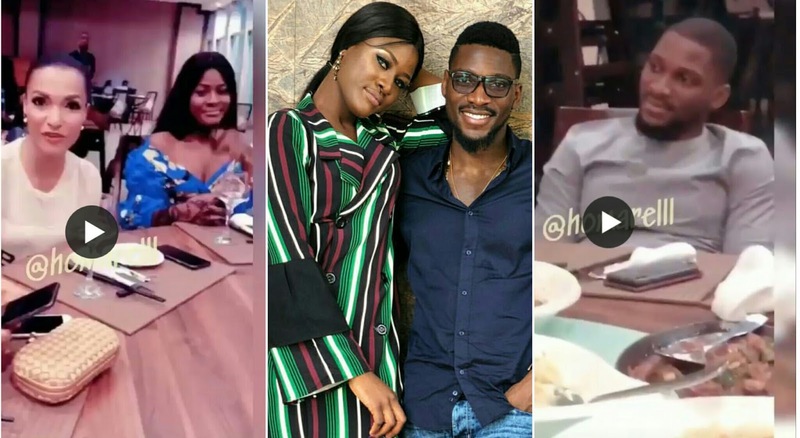 The former big brother Naija housemates were spotted dining with the creme de la creme of the entertainment industry, Tiwa Savage, Makinwa, Nadia Buhari, Rukky Sanda, and Alex Ekubo at celebrity designer, Swanky Jerry's birthday party.